Morris Video, 1986. Book. Very Good. No Binding. VHS cassette tape in original box, all in very good to near fine condition..
U.S.A.: Simon & Schuster, 2015. Book. Fine. Hardcover. Hardback in fine condition with fine dust jacket.. 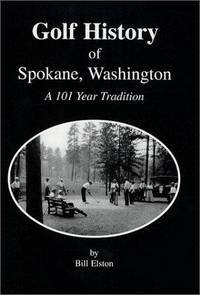 Golf History of Spokane, Washington: A 101 Year Tradition. 1st ed. Team Elston Sports, 1999. Hardback in fine condition. 1st edition.. 1st Edition. Hardcover. Fine. How to Become a Complete Golfer. New Revised Ed. Golf Digest / Random House, 1984. Hardback in near fine condition with near fine dust jacket. New revised edition, 1984.. Hardcover. Near Fine/Near Fine. Golf Fore Fun. Gift Edition. Prentice-Hall, 1953. Hardback in very good minus condition. Gift edition. Intro by Bing Crosby.. Hardcover. Very Good. Hill and Wang, 1965. Hardback in fine condition with near fine condition dust jacket. Handwritten dedication added to list. Dust jacket is in mylar sleeve.. Hardcover. Fine/Near Fine. A.A. Wyn, Inc., 1952. Hardback in good condition.. Hardcover. Good. Dutton, 1990. Hardback in fine condition with fine condition dust jacket. Dust jacket is in mylar sleeve. 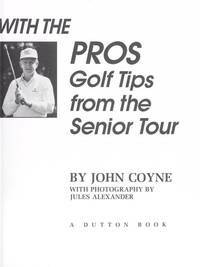 Inscribed by author, John Coyne.. Inscribed by Author(s). Hardcover. Fine/Fine. Stratford, Connecticut, U.S.A.: Classics of Golf, 1990. Hardback in near fine condition.. Hardcover. Fine. Ping. American College Golf Guide. 2001-02 Edition. Dean Frischknecht Publishing, 2001. Trade paperback in very good condition. 2001-02 Edition.. Soft cover. Very Good. Stratford, Connecticut, U.S.A.: Classics of Golf, 1991. Hardback in near fine condition.. Hardcover. Near Fine. Stratford, Connecticut, U.S.A.: Classics of Golf, 1990. Hardback in near fine condition.. Hardcover. Near Fine. Stratford, Connecticut, U.S.A.: Classics of Golf, 1988. Hardback in fine condition.. Hardcover. Fine. Original Edition of An Introduction to the Literature of Golf: The Thirty-Seven Foreward To The Classics Of Golf. Ailsa, Inc, 1996. Hardback in near fine condition.. Hardcover. Near Fine. J. B. Lippincott Company, 1967. Hardback in very good condition with very good dust jacket. 1st edition, 2nd printing.. Hardcover. Very Good/Very Good. 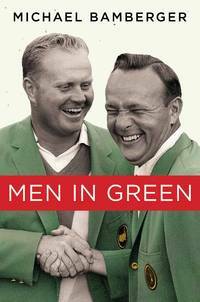 Classics of Golf Hardback in near fine condition with no dust jacket. No published year stated.. Hardcover. Near Fine. Reed Books, 1996. Trade paperback in very good condition.. Soft cover. Very Good. Farmington Hills, Michigan, U.S.A.: Macmillan Pub Co, 1982. Hardback in near fine condition.. Hardcover. Near Fine. Ailsa, 1985. Hardback in very good + condition.. Hardcover. Very Good.